Working with QEST, waste generators can be certain that their wastes will be handled in a way that meets or exceeds all local, state and federal regulations. The development of sustainable waste management solutions that respect the environment, ongoing technical innovation, and continuous improvement will positively effect your business, local community, its economy, and the world we live in. We work with a variety of industries to reduce their waste streams, and promote minimisation wherever economically viable. If waste material must be generated, we incorporate the strategies of reuse and recycle. If no alternative use exists, we will then dispose of the waste in the most environmentally responsible manner possible. 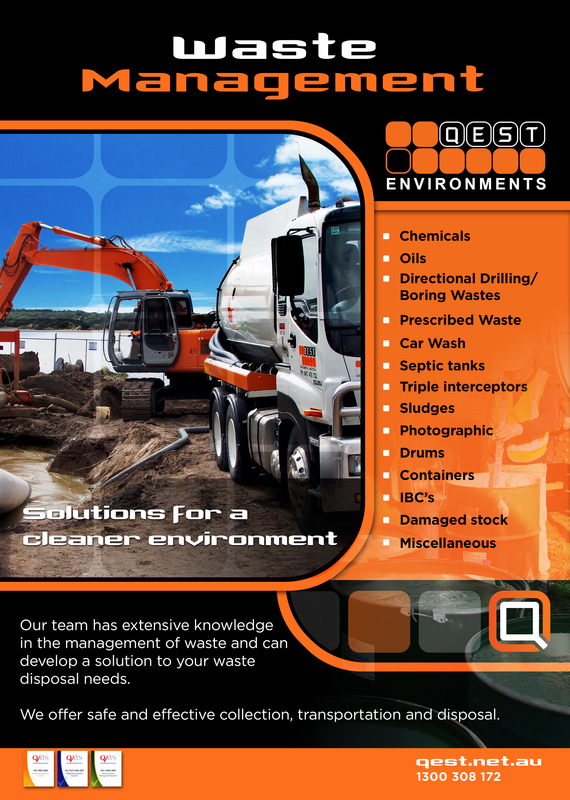 QEST offers a comprehensive assessment of the waste management needs of any waste producer. 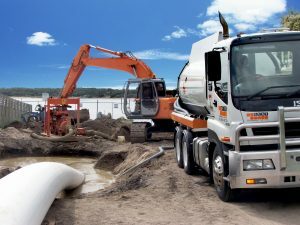 This is followed by recommendations and service provisions of the most economically and environmentally efficient methods of recycling, recovery, treatment and disposal for all waste streams, delivered by a single supplier of waste services. Our licensed waste vehicles meet strict EPA guidelines and are operated by highly trained and experienced personnel. We provide full waste tracking documentation, including Certificates of Disposal to confirm that your waste is disposed of or recycled in accordance you’re your expectations and regulatory requirements. Our team has extensive knowledge in the management of waste and can develop a solution to your waste disposal needs.